Following his inaugural season with Gill St. Bernard’s, in which he guided the varsity girls’ tennis team to a 14-2 record (12-1 conference), head tennis coach Patrick Hensley was named Skyland Conference Coach of the Year. He began working with the team in mid-August, along with coach Chris Walsh, focusing on fundamental strategies for long-term success. Hensley holds certification as a tennis instructor from the United States Professional Tennis Association and has played competitively at Division II Francis Marion University and tournament levels. 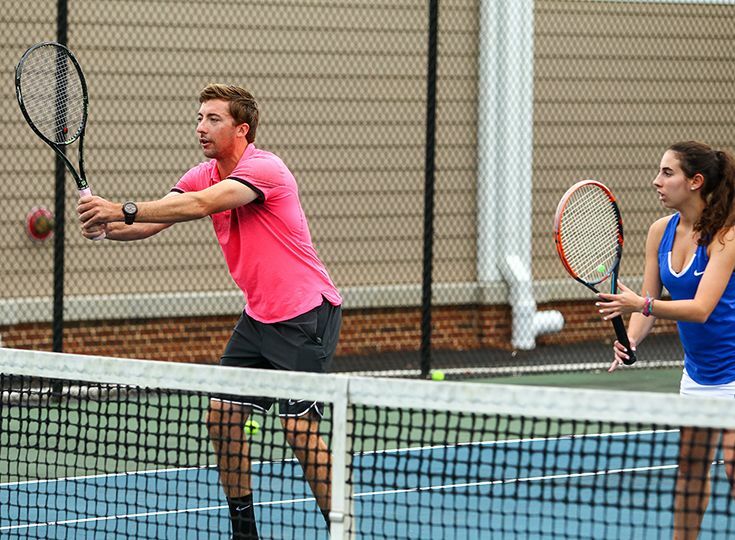 In addition to working with the varsity program, Hensley coaches the Middle School tennis teams at Gill and he is also a tennis coach at the Chester Tennis Club.